How much power does a solar panel produce? All solar panels receive a power rating based on the amount of direct current (DC) power they can generate. Ratings are expressed in watts and represent the power the panel produces under ideal lab conditions. 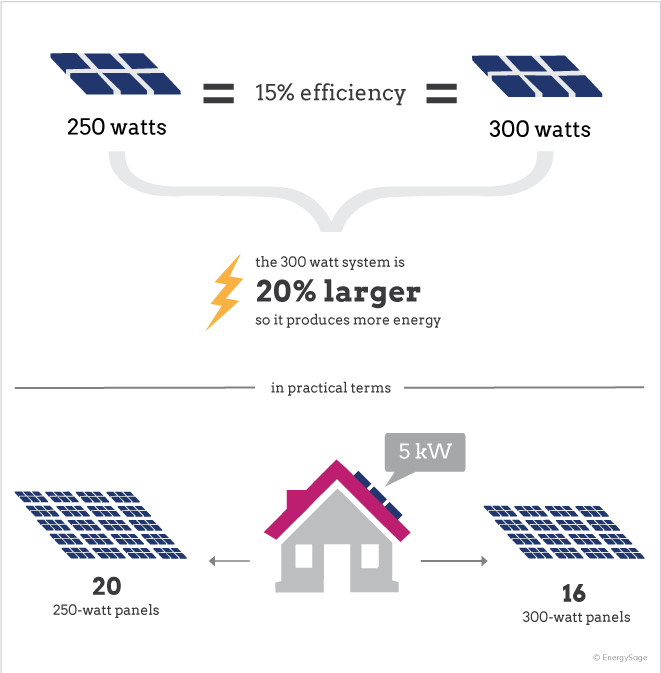 Most solar panels on the market today have power ratings that range from 200 to 350 watts. In practical terms, it is difficult to know exactly how much electricity a particular solar panel will produce for your home just by knowing the solar panel’s power rating. If you want to understand the solar energy output for your home in real-world conditions, use the power rating in conjunction with your solar panels’ other technical specifications. Your system’s solar energy output depends on sunlight and temperature conditions, as well as other technical specifications. The electricity generated by a solar panel system is also dependent on the degree of shading that the system experiences and the tilt angle and azimuth of the roof on which it is installed. Geographic location is another big factor. A 5kW system may produce 6,000 kilowatt-hours (kWh) of electricity per year in Boston, while the same system would produce 8,000 kWh per year in Los Angeles because of the amount of sun each location gets per year. However, this doesn’t mean that solar makes less financial sense in Boston – both solar energy output and the prices you pay to your utility have a large effect on your level of savings. As a general rule of thumb, it makes prudent financial sense to install a solar energy system with as much power output as you can afford (or that your roof can accommodate). That will ensure you maximize your savings and speed up the payback period of your solar energy system. 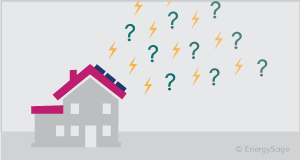 Use the EnergySage Solar Marketplace to solicit quotes from qualified solar installers and easily compare relative savings from panels with different solar energy outputs.